I'm trying to help an elderly cousin find someone to whom she can donate her doll making supplies, equipment, etc. It's time for her to give it up and downsize. She is in Newport TN. I can understand perfectly when we have to downsize. Downsizing though seems like the ideal dollhouse term. That's what we do with most of them. We actually hope to get smaller. But anyone wishing to contact Virginia Ratliff will have to leave her a message on my site. 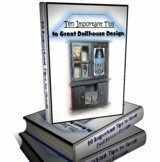 Unfortunately she never left any particulars regarding these dollhouse supplies. That's one thing about these forms. Unless you give your info do not simply assume I will be able to pass along your ideas. They do not get deposited to me unless they are purposely planned and given to me. That's just another great thing about SBI and my website. We both strive to protect your privacy. It makes it both comfortable for you and me. I like that and so should you. It's really a help to all concerned who visit me everyday. Like I said however if you wish to leave Virginia Ratliff a message just click on the "Click here to post comments" link and fill in the form provided. And Virginia if I were you I would bookmark this page concerning your request and check for a reply. And other than that that is all I can do at this time. Do feel free though to come back and list whatever other details you want someone to know about. Using the above mentioned link you can list an address to contact your friend by.